This is a beautiful, inspiring video. It’s directed at highschool-aged students, but the message is relevant for first or second-year college students – and maybe beyond! Teachers care. They care more about the students than the students realize. Teachers lose sleep over their students. They worry about students. And they aspire to help students learn…not just the course content, but how to face adversity, deal with harsh realities and the uncertainties of the future. I found this to be motivating and relevant, even for teaching adults. I hope you’ll get something out of it too! These are great questions to reflect on as I come to the conclusion of Professional Practice (PIDP 3260). In fact, the answers to these questions should help me to define my own teaching philosophy and goals. Sure, I liked the teachers who gave good marks and were nice. 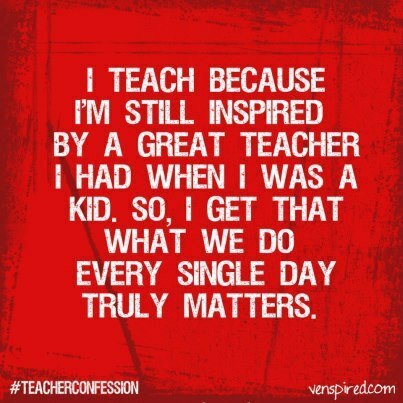 But actually, the teachers I liked the most were the ones who challenged and inspired me. It’s funny that I can’t actually recall many of my instructors from nursing school. (What is worse is that it’s difficult to even remember some of the content). But there was one instructor who I will never forget. The one everyone was scared of. She had a reputation among the nursing students as being ‘mean’, ‘hard’, and absolutely never gave perfect marks. Horror stories were passed down from students who had taken her course before. There was a battle for students to complete their course selection quickest so they could avoid her. But…even though I was a little scared of her too, she was probably my favorite teacher. Why did I like her so much? She was fair. She had high expectations of us. She challenged us to continually learn and improve. She respected students who worked hard, even if they didn’t always do well. And underneath her seemingly cold exterior, she had a sense of humor and cared about the students. In a program where it seemed like everyone got 100% (even if they wrote the assignment the night before), I appreciated that marks accurately reflected effort and achievement. She marked fairly, using the assignment rubric and she was always available for students to receive extra help. When I got involved in a research project, she was my biggest support and guide – and she celebrated my completion of the project as excitedly as I did. I feel badly that she was labeled as the ‘scary’ teacher. Perhaps the students felt this way because she encouraged us to go beyond our learning comfort zones, and it was actually the responsibilities and expectations that the students felt scared about. This instructor taught us as adults, and maybe some of us weren’t ready for that. Now that I’ve made my way through most of the PID program, I can see that the other instructors taught us as children. And while that felt comfortable and easy for us, we actually missed out on more advanced learning that we were capable of. So…thank you, (‘Scary’) Mary – you inspired me! Not only as a nurse, but also now as a new nursing instructor. It is well-documented that instructors must receive and respond to feedback in order to improve their teaching practices. As instructors, we ought to seek out feedback from our students and our peers (self-directed learning). One formal way of doing this is by using a Critical Incident Questionnaire. I chose to design an infographic for the digital media project in PIDP 3260. I had never made an infographic before, but I’m pleased with how it looks. Next up is actually using the CIQ in the class! I began taking the Provincial Instructor’s Diploma courses at the suggestion of my assistant department head when I was hired. She told me that the college values PID even more than a Master’s degree, and subtly hinted that completing the PID program was a way to climb up the pay scale. Although my motivation may have been kick-started with dollar signs, the financial benefits of this program are far outweighed by the educational benefits. The neat thing about PIDP is that it’s really about teaching and learning. The common thread in each of the courses I have taken is the importance of self-reflecting. For instructors to continually improve, they must always reflect on their teaching and reflect on their learning. The things we learn about ourselves, our students and our subject area must guide our practice so that we might always be improving. I started with PIDP 3100 – Foundations of Adult Education. It was theory-based, but far from being boring! This course introduced me to ideas and terminology that have carried throughout the program. Andragogy: the way in which adults learn…this theory created a huge shift in how I view post-secondary education, both in instructional delivery and in how we address the characteristics of adult learners. We watched a pretty neat video on Changing Education Paradigms that really challenged the way I thought about educating adults. I have also completed PIDP 3210 – Curriculum Development, PIDP 3250 – Instructional Strategies, and PIDP 3230 – Evaluation of Learning. Who knew that designing an exam was so complicated!? Just joking. Actually, I’m not joking. I had no idea that there were so many things to consider when designing evaluation instruments. Reliability, validity, weighting the exams, the types of questions, etc. This one was a lot of work, but very practical. There was (and is) a lot about teaching that I didn’t know. What experienced instructors make look very simple actually takes a wealth of knowledge that the PIDP helps to provide. From setting up a classroom to planning learning activities so that students are successfully evaluated in achieving learning outcomes, each decision is made with a specific intended purpose. As I begin to teach more, I hope that I will be able to integrate what I have learned into my teaching practices. Only two more courses to go before the Capstone Project! Yes, college instructors are professionals, but they are also human. 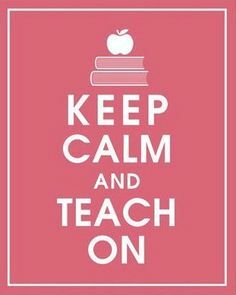 We always try to be calm, cool and collected, but sometimes students make this very difficult! There can be many factors that might lead to an instructor blow-up (or meltdown)…classroom behavioral issues, unmotivated students, being challenged on something, feeling attacked on a personal level, stress/pressures from administration, or maybe we’re just having a bad day. Regardless, it’s our responsibility to keep it together. This can be challenging, especially in the heat of the moment. In a recent experience with a disrespectful and disengaged learner (see The Resistant Learner), I found that my emotions escalated very quickly and could have gotten involved in a very childish (“Yes, you are!” “No, I’m not!”) kind of argument. Luckily I stopped myself, saving myself from acting unprofessionally and becoming involved in a pointless argument. Take a deep breath and try to understand the situation. Listen objectively and with an open mind. Ignore rudeness, and respond to the content of what the student is saying. Call for a break. Use the break time to either speak with the offending student privately, or take a break yourself. Don’t bring your frustration back into the class with you. Request to speak with the offending student after the class, or if you need more time to simmer down, in your next office hours session. If you feel yourself getting worked up, imagine your department head walks into your classroom. What are they going to see? hear? This might help you keep things professional. Take time for reflection after each class. If things went well, why? If you “lost your cool” – why? Was it something that could have been prevented? Or should you have handled the situation sooner? or in a different way? 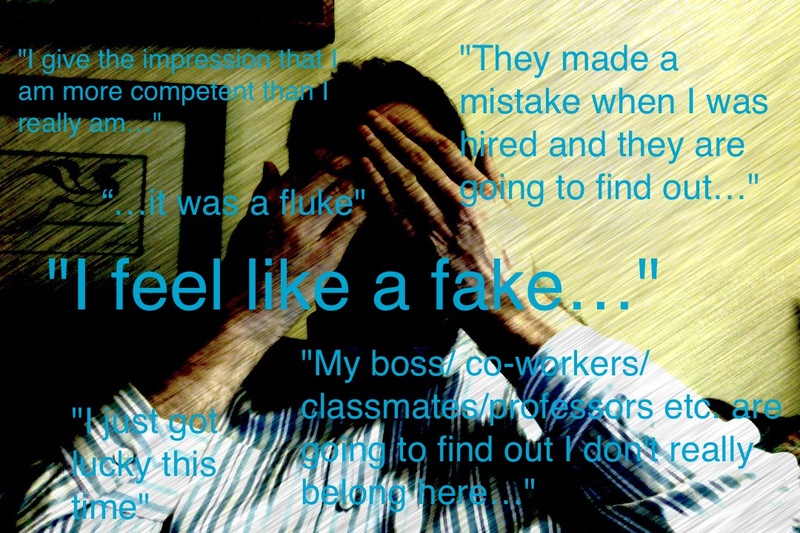 I just read an article from Faculty Focus where the author writes about her experience as feeling like an imposter. It is a very relevant article that touched on many of the feelings I have when I teach a class. Being a new instructor, I, too, feel like an imposter when I am teaching. Quite often, I am actually younger than the students I am teaching, and I feel like they probably question my experience, qualifications and ability to teach. And if I was them, I’d be thinking the same thing. Craven (2014) describes the Imposter Syndrome as a psychological phenomenon, where you experience “feelings of inferiority and fraud, as if someday (maybe even today) your inadequacies will be discovered”. She states that it is a completely irrational, and when I read through the rest of the article, I can see that she’s right. I remind myself that I was hired because I have the knowledge base and experience needed to be able to teach a particular subject. Usually when students hear that I have been a nurse for 8 years, they seem a little more convinced that I am not an imposter in the classroom. When I also use personal anecdotes about my nursing experiences, the students really seem to accept me as being “qualified” to teach. (But the stories have to be good – acts of heroism, cardiac arrests, wound evisceration….the better the story, the quicker you’ll seal the deal as a qualified teacher). Colleges do not expect new instructors to be perfect, and there are going to be times when the students may stump me. I do not know everything. But that’s okay. I think student’s a very accepting if an instructor admits that they do not know an answer and then finds out for the student’s by the following class. In fact, this might even boost instructor credibility in the eyes of the students. I don’t think I’ll ever completely lose the feeling of being an imposter, and I think that this actually helps keep instructors humble. Being an instructor is a privilege, and not something that I should take for granted. I’ve got an obligation to continually prove myself to my students, the college, and maybe most of all, to myself, that I belong in the classroom. But as I become more confident, I think Imposter Syndrome might begin to fade away … and I’m looking forward to it! “As teachers we all bring different gifts, and handicaps, to the table” (Brookfield, 2015, p. 102). This quote originates from Brookfield’s (2015) chapter on teaching successfully in diverse classrooms. He suggests that no matter how much effort an instructor makes on meeting the diverse needs of each learner, he or she will never be fully successful. Brookfield proposes the idea of team teaching – where two or three instructors with “different racial identities, talents, and personalities form a teaching team” (Brookfield, 2015, p. 102). Having a team of instructors teach a course will generate more opportunities for the varied learning needs of students to be met. One instructor who wrote an article on her experience with team teaching stated, “we magnified each other’s successes and minimized each other’s failures” (Tomlinson, 2015, p. 90). Sounds wonderful, doesn’t it? So why aren’t we seeing it in our classrooms? Most likely because of the budget. It’s an unfortunate but true fact that post-secondary education administration is more focused on budget than on learning. And of course they need to balance the books. But we’re doing a disservice to our students when we don’t make “maximizing learning” the primary focus in every aspect of adult education. Although I don’t foresee team teaching due to fiscal constraints, I can still try to help meet the diverse needs of learners. I am obligated to try to offer the variety of teaching methods that students would receive if they had multiple instructors. Bain (2004) tells us that outstanding teachers conduct class in a multitude of ways: sometimes visual, other times auditory, individual and group work, learning sequentially and globally. This would require a real commitment to self-reflection and making changes that may be challenging but would increase student learning. And what Bain (2004) and Brookfield (2015) both agree on, is that the best teachers do whatever it is that helps students to learn. Bain, K. (2004). What the best college teachers do. Massachusetts: Harvard University Press. Brookfield, S. D. (2015). The skillful teacher: On technique, trust, and responsiveness in the classroom (3rd ed.). San Francisco: Jossey-Bass. Tomlinson, C.A. (2015). Teaching in tandem: A reflection. Educational Leadership, December 2015/January 2016, 90-91. Lifelong learning is important, personally and professionally. It can generate creativity, initiative and responsiveness – all very valuable skills. It’s one of the most effective ways to help us deal with change, makes us happier, healthier, and helps us to live longer. How can we be lifelong learners as professionals? It might be a good idea to first have some kind of lifelong learning plan. Or at least some short-term and long-term goals. One reason that I believe instructors need to keep learning (especially in a vocational field) is to stay current in the area in which you are teaching. Doing this may involve attending workshops or seminars, reading recent studies or literature, or actually working in the field. For example, as a nursing instructor, I think it’s very important for me to continue to work in the hospital so that I know that what I’m teaching my students is current practice. Doing this will help ensure that we maintain ‘credibility’ for the learners. 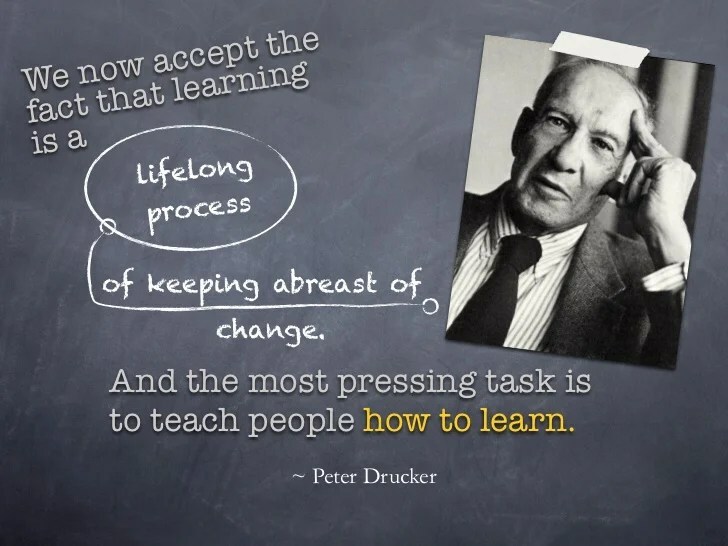 As professional instructors, we must always continue to learn and use our learning to change and improve the way we teach. We might be influenced by new research on teaching methods, formative or summative evaluations, college practices, from chatting with colleagues, and even from students themselves. 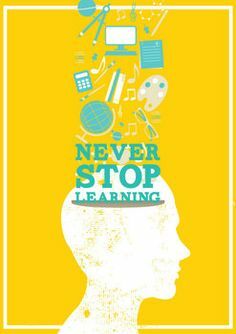 The most important aspect of lifelong learning though, is what we do with our learning. Our learning should always be used to better ourselves, as instructors, colleagues, professionals, neighbors, and so on. Learning is fruitless if it does not bear change. My blog’s feature image of the Teach/Learn reflection is a great reminder for me that both must be constantly evolving and they should not be separated. But the editorialist suggests that lecturing is essential for teaching the basic life skills of comprehension and reasoning. And I agree with Molly Worthen on this…students today have difficulty focusing. There are so many distractions in the classroom, at home – everywhere. 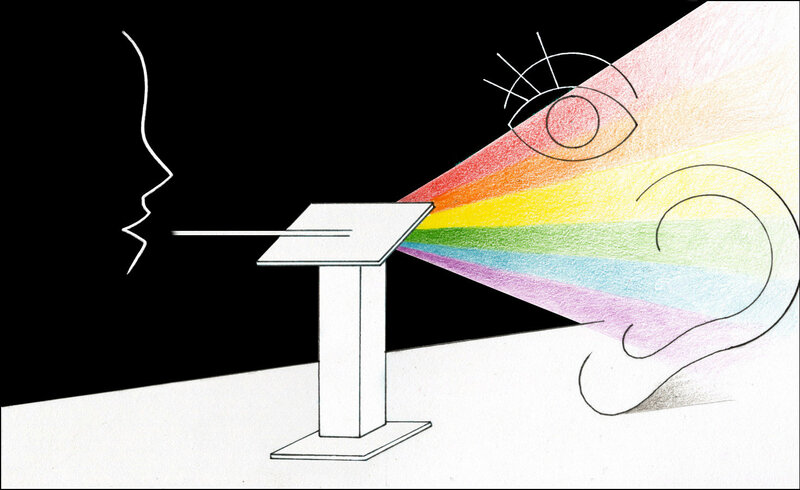 A lecture forces students to slow down, turn off technology and listen. Lecturing helps students to understand concepts and make connections in their learning. To listen to a lecture is not passive learning, particularly if the student takes notes. I really enjoyed reading this editorial, and I think it’s a worthwhile read for all instructors – especially those who feel pressured to always “entertain” their students. I came across this entertaining blog post – some good tips for students! One of the main features of university life is sitting through seemingly endless lectures. In most degrees, lectures are going to be a pretty major part of the learning process. Some will be the kind of lecture that you look forward to, either because it’s a great topic that you’re super interested in, or because you fancy the lecturer. Unfortunately, it’s much more likely that lectures will be a chore that you feel happy to skip should you sleep in an extra 10 minutes and realise that coffee beforehand is no longer an option. Considering how most lectures are already going to be tough, I’ve put together some tips on how to make each one a little bit better for all of us. To do this, I’ve used my vast experience in attending the first three lectures of any given subject I’m supposed to be doing.